Taking the time for self-examination and self-reflection has many benefits. I hadn’t thought that “Snowmageddon” avoidance would be one of them. I come from Michigan, and I lived in Vermont, so I know snow. I know how to drive in it, I know how NOT to drive in it, and yes, I’ve had my fair share of spin-outs, white-out conditions, being stuck in snowbanks, and accidents as a result of the road conditions. As I age, I like it less and less. I just don’t have time for the hassle-factor of it all. When I heard that we here in New Jersey were to get a few inches of snow yesterday, my radar went up. 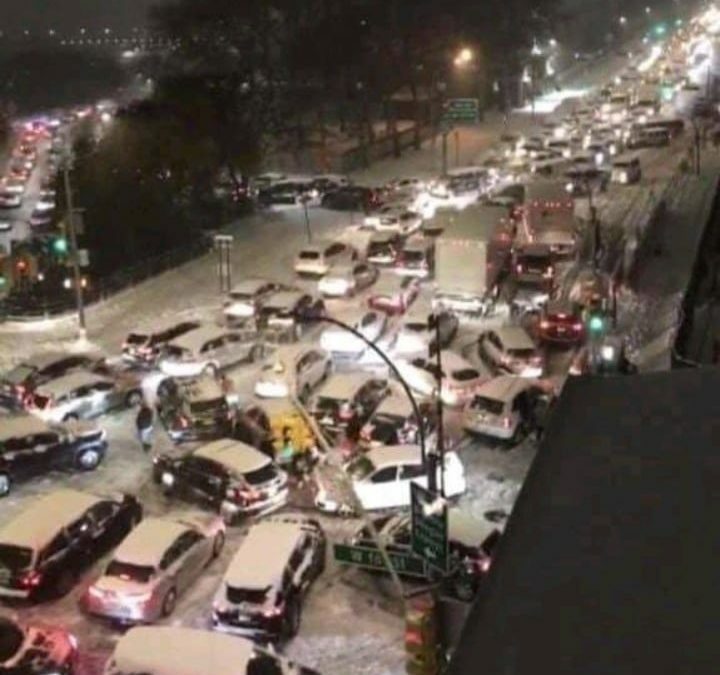 I thought “first snow: people forget how to drive= stay off the roads!”. But I had to go into New York, and I don’t drive there, instead using public transportation. So I dismissed that fear. And yet, there was this little voice that said “Cancel your appointments. Stay home instead.” I listened. And I cannot tell you how happy I am that I did! There were many, many years where I ignored that voice, for one reason or another. Either I didn’t want to look “weak”, like I couldn’t handle a situation. Or I thought that it was just a foolish idea. Or there were many, many times I never even heard the voice at all. Through many years of letting go of that which blocked my intuition, and practice trusting it, I am now in a place to value it. Sure, I still have moments of doubt, but it has been proven to me time and time again to be correct. And now I listen. To all who spent HOURS trying to get home last night, I send my heartfelt sympathies. Hopefully everyone learned from the experience and we’ll not see the likes of that mess again. And to all of you who heard that voice urging you NOT to travel yesterday – and you did – well, let’s hope that’s what you needed to trust your intuition the next time! Trust your intuition – it’s got your back!